Human body is an infrared detection sensor switch controller, using infrared detection mode control load switching. 2, the controller back with a time setting knob, turn the knob to the switching delay can be set separately off the number of minutes when the detected light load when someone lights up when people leave after a set number of minutes, the load lights automatically turn off. 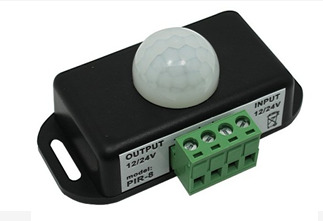 3, the controller output signal line and input line should be connected correctly.